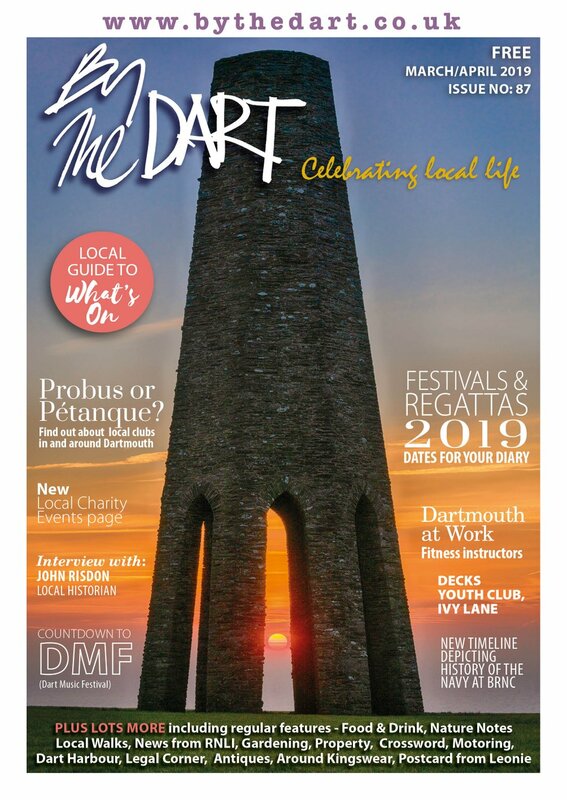 For those who live in Dartmouth it’s almost a moot question: what exactly is the thing that makes people love Dartmouth so much? Around Dartmouth and its surrounding hills, you will find stunning vistas, views to take your breath away and even some beguiling landscapes that have inspired artists for centuries, including the great JMW Turner. Take a walk along the Embankment; look out to the castles at the Harbour mouth, especially early in the morning or on a clear evening and it’s simply gorgeous. Take the (very steep) walk up to Jawbones above the town and look around – there are few towns that can make your mouth hang open with their beauty, but Dartmouth is one of them. A few minutes walk out from Dartmouth Castle or around from Kingswear and you can take in numerous other views that will make you glad to be alive – Blackpool Sands, Castle Cove, the Daymark or Slapton Sands. All these are places that you will remember forever – and all within a few miles of Dartmouth. On top of this, the historic buildings around the town, many dating back to the 17th Century, alongside new and interesting architecture such as the Flavel (also a hub of cultural activity in the town) gives a sense of an old town moving with grace and style into the future. Go to most towns the size of Dartmouth (5,500 people) and they might have one big event a year, other than the traditional Christmas, New Year, Easter and Bonfire Night. 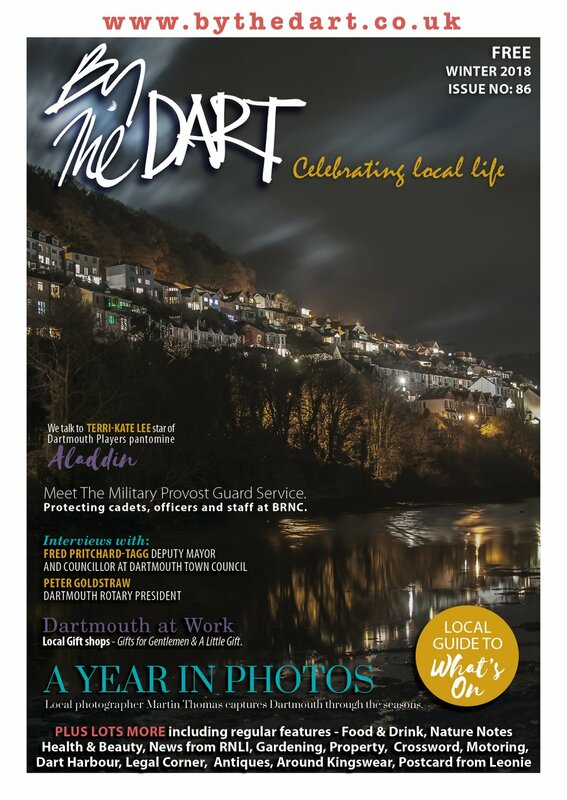 Dartmouth has: the Comedy Festival, Music Festival, Shakespeare Week, Regatta, Food Festival and Candlelit Dartmouth – the kick off to the festive season. And these are not small, one tent and an evening event at the village hall festivals: they are varied, fun and frankly massive events that keep getting bigger and better every year. The Dartmouth Music festival hosts more than 100 gigs for free every May. 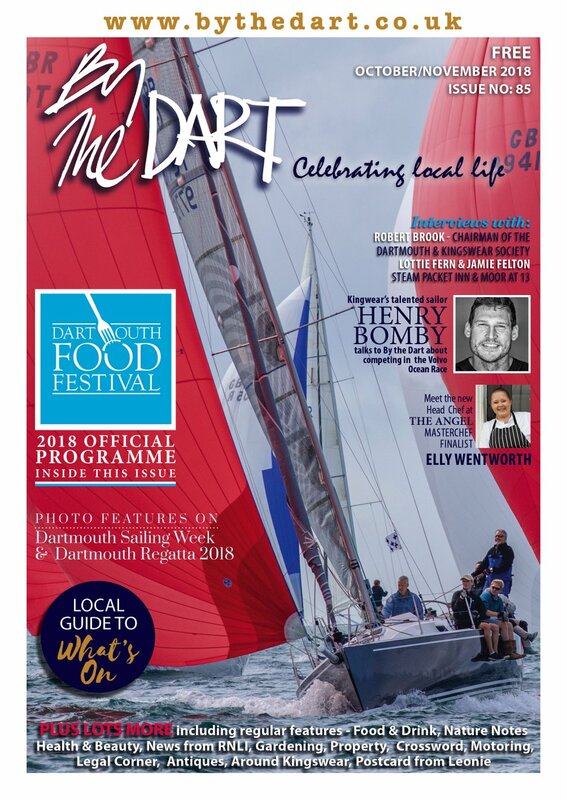 The Dartmouth Food Festival takes place over nearly a week and hosts more than 60 events such as cooking demonstrations, book discussions, wine tastings and children’s competitions. The Port of Dartmouth Royal Regatta is a sprawling behemoth of an event, featuring 1,500 sports competitors, huge music gigs, air displays to take your breath away, and it attracts more than 100,000 people every year. How does the town to put on such amazing events? Is it just lucky to have so many things to celebrate? It’s because the community is full of people who are passionate and work incredibly hard to make these events happen every single year. It’s a pretty thankless task for many of them, but they are so determined to bring their community together with top quality events that they keep going. It's a rare thing to find a community like Dartmouth, and these events are an illustration of how vibrant it is. What this energetic community means for the visitor or resident is that, all through the year, there are events that are fun and exciting – there really is something here for the whole family all year round. One of the reasons the Food Festival in Dartmouth is so popular is the town’s excellent collection of restaurants and cafés. The quality of food on offer in Dartmouth is on a par with any area of London or other larger, more cosmopolitan places – and you get to look at beautiful views in a chilled, friendly place before and after doing so. Some places, such as the award-winning The Seahorse Restaurant (part-owned by TV Chef Mitch Tonks), are on the Embankment, giving you the best of everything! There are few places in the world where you can get such a good range of food in such a small area with friendly locals and a stunning locale. What’s not to like? The river Dart is a remarkable and beautiful place – and in Dartmouth and Kingswear it is right there, ready for you to take advantage of all it has to offer. Throughout history it has been the town’s lifeblood, bringing food, supplies and people to help the town prosper- and the story is no different today. There are so many ways you could take advantage of the beautiful river: sailing, canoeing and motor boating, as well as taking advantage of the various ferries that go to interesting and stunning places along the river’s length. The main thing to remember is that the river is a gift of which it is virtually impossible to get bored. Whether it is rowing with friends, sailing down and having a picnic on the shore side, discovering Agatha Christie’s house or popping to a riverside public house; no matter what you enjoy, the river Dart has something for you. Dartmouth is gorgeous, its views stunning, its people dynamic, its food delectable and its river inspiring. But the main reason people come here and fall in love with the town is normally the fact that it is a friendly, safe and relaxing place to be. If you come to Dartmouth and like to have fun, meet new people and enjoy the good things in life, the town will open its arms to you and make you very welcome. That’s why people come back here again and again, or move here after one visit: the town is welcoming, beautiful and vibrant.